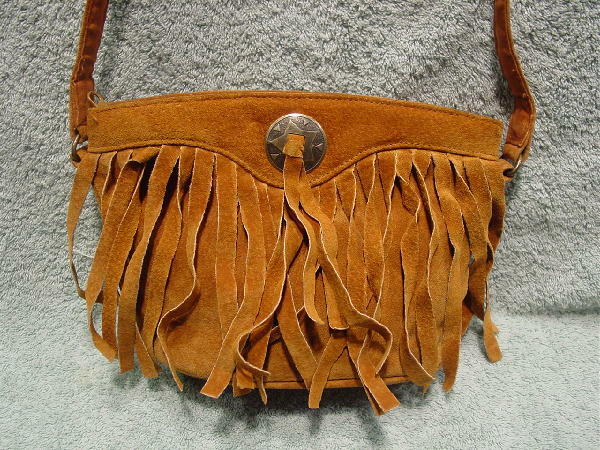 This vintage saddle tan color suede (genuine leather) purse has 6" long by 3/8" wide fringes on the front, and in the center above the fringe is a silver-tone ornament. There is a 52" long by 5/8" wide adjustable brushed cotton shoulder strap. 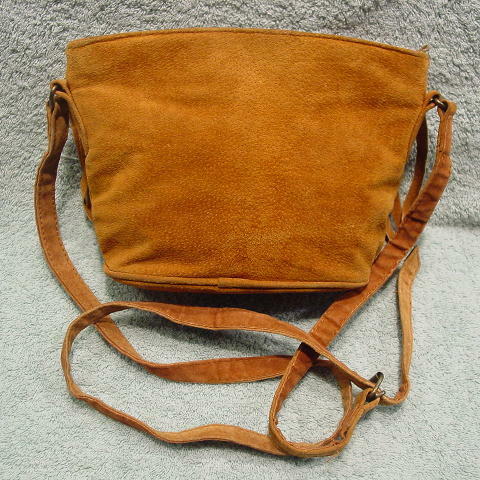 The interior has a caramel color brushed cotton lining and zippered interior lined pocket. It's by Minne Tonka Genuine Leather Since 1946. It's from a stylist's inventory, and was worn once, in a photo shoot.